Do you struggle with self-pity? Do you ever get the feeling that you have it worse than others? Would you like someone to notice all the hard work and sacrifice you have made? David had it bad. He was living in the desert and being hunted down by a crazy king. Think you have it rough? So, how did David deal with his difficult life? First, he acknowledged his desperate state. But he didn’t stop there. He turned his physical thirst into a thirst for God. He states, “O God, you are my God, earnestly I seek you; my soul thirsts for you, my body longs for you, in a dry and weary land where there is no water.” Then David continues to remember all the times when he saw God’s power and love at work. He determines to praise God in his dry and weary place. 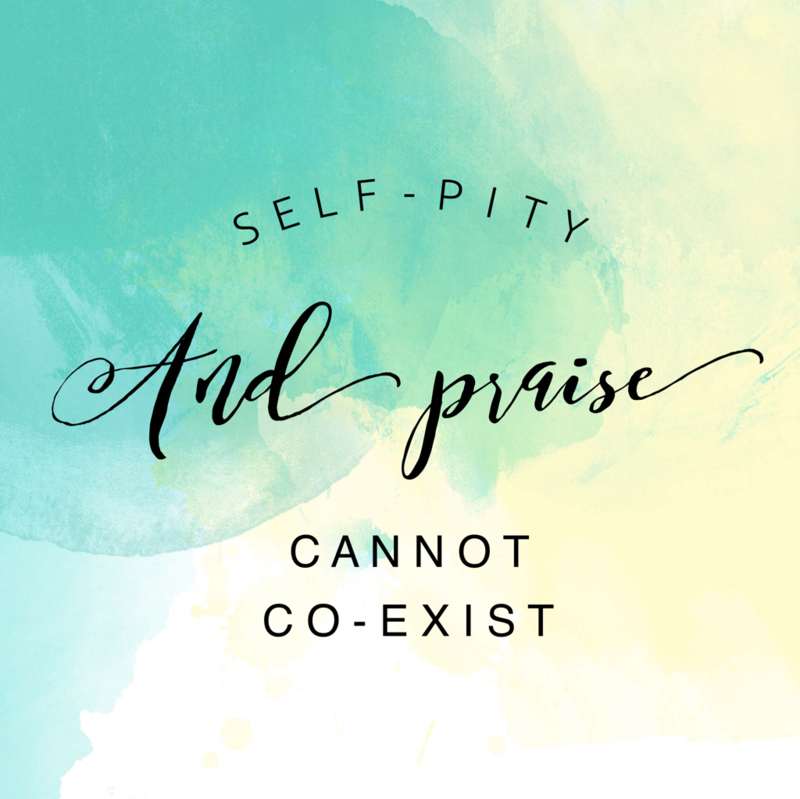 Praise is the antithesis of self-pity. They cannot co-exist together. When the feelings of “poor me” begin to close in, begin praising God. Remember all that he has done on your behalf. Remember that he alone satisfies. Self-pity is actually rebellion against God. It is denying his power and love. Do not give it room in your life. Quickly identify it and repent. Now turn your hardship into praise and thanksgiving. Self-pity will quickly fade away.